For the trusted name in Rancocas commercial electrical contractors, call on D.P. Murt Co., Inc. D.P. 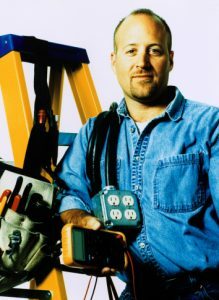 Murt is a veteran owned contractor based just minutes away in Pennsauken, and we have been handling electrical needs big and small for Burlington County businesses for over 30 years. Whether you need new code-approved wiring, generators, or complete upgrades, we can get the job done for you, and we pride ourselves on bringing in projects on time and on budget. At D.P. Murt, we’ve worked with every type of business, from retail facilities to restaurants to car dealerships and much more. We can install and maintain any electrical equipment you need to repair or upgrade, including switchboards, circuits, and lighting. We also can ensure that your HVAC wiring is stable and your fire alarm systems are operational. Are you relocating or expanding your business? We offer complete design and build services that will keep your facility running properly and efficiently, saving you on energy bills and avoiding emergency calls. Click here to find out more about the commercial services we offer, including our 24-hour emergency service. We’re also on the cutting edge of green and energy saving technology. If you’d like to conserve energy and reduce your company’s carbon footprint, we can help you with installing solar and wind technology and energy saving lighting. We also can perform an energy conservation audit for your business, to help you see where your outdated equipment or unnecessary energy usage is costing you more than it should. Contact D.P. Murt today for a free electrical survey and let us show you how you can keep your business running efficiently. Our experience and innovation are what sets us apart as Rancocas commercial electrical contractors. At D.P. Murt, we take care of the power, so you can take care of the business.